These are my makeup essentials that I absolutely could not live without. 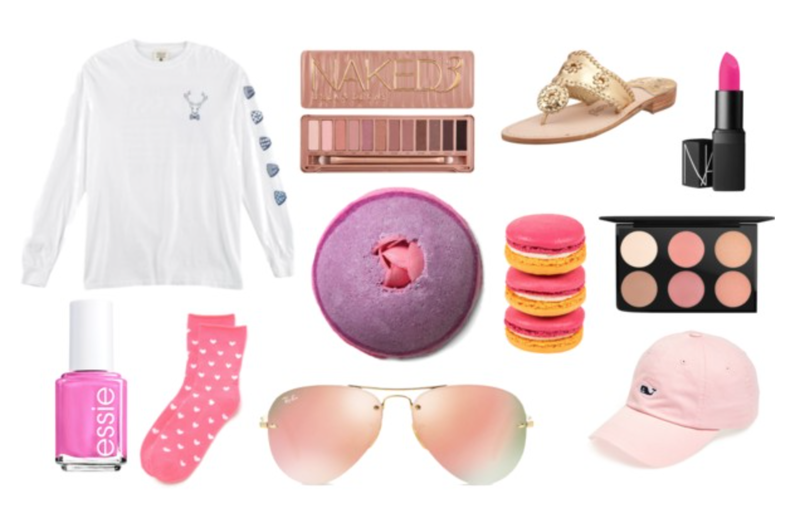 I use almost all of these items on a daily basis, and they definitely come along with me when I travel! 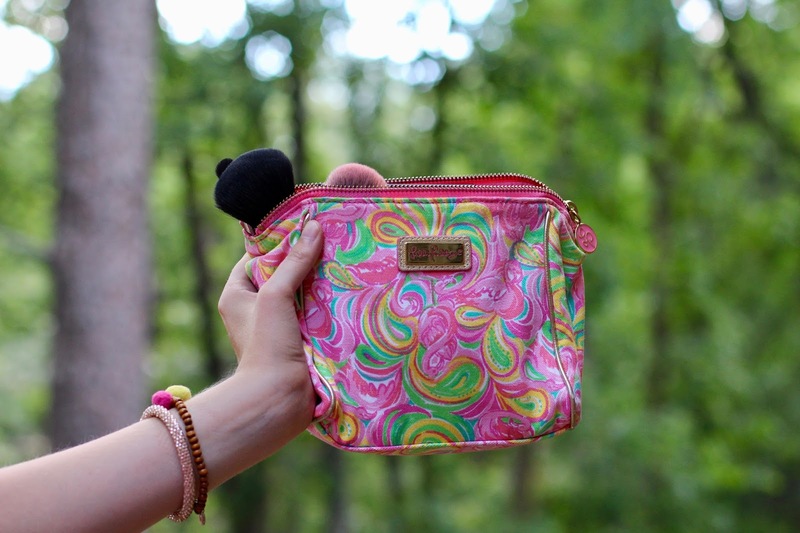 For starters, this makeup bag is from an old Lilly Pulitzer/Lancôme collaboration. I've linked a similar one here. As for brushes, I mostly use a collection I have by Sigma. I got this set for Christmas a few years ago and absolutely love it. It's definitely worth the investment in my opinion. I've also made the switch from the Beauty Blender to this beauty sponge. The quality is similar, and I'm saving almost $15! I think I've finally found my favorite eyeshadow palette of all time! It is the Too Faced Natural palette. It's small and compact, and I use almost all of the colors. I would definitely recommend it if you're a fan of neutral eyeshadow looks. It also fits perfectly into this makeup bag! I switch back and forth between two eyeliners. When I want a more dramatic, dressy look, I use this Stila Waterproof Liquid Eyeliner. Y'all- this is by far the best liquid eyeliner I have ever used. I have repurchased it countless times! On days when I want a more casual makeup look, I use this Smashbox Always Sharp Liner. Again- y'all- this is my favorite pencil eyeliner that I have ever used! What makes it unique is that the cap on the pencil has a sharpener inside, so the tip is always pointy! You don't have to worry about sharpening it yourself, and the line it makes is always nice and small. To be completely honest, I don't have a mascara that I couldn't live without. I am constantly switching between whatever is new, has the cutest packaging, or is on sale. (anyone else?!) Right now I am using two that I like to use together. They are this one from Loreal and this one from Maybelline. I didn't know what category eyebrows (eyes or face?!) would fall under, so I decided that they deserved their own section. I have used this Anastasia Brow Whiz pencil for over a year now and really like it. It's a bit pricey considering it's basically just a fancy crayon... so I'm considering picking up this NYX Micro pencil when mine runs out. I've heard that it's very similar to the Anastasia pencil, and the price is definitely more budget-friendly. Similar to my two eyeliners, I have two different routines that I switch between for my foundation/face makeup. When I want a lighter look or don't feel like wearing a full face of makeup, I like to use a pressed powder foundation. I started using this one from IT Cosmetics last summer, and I still really like! It's so easy to apply and takes much less time than using a liquid foundation. 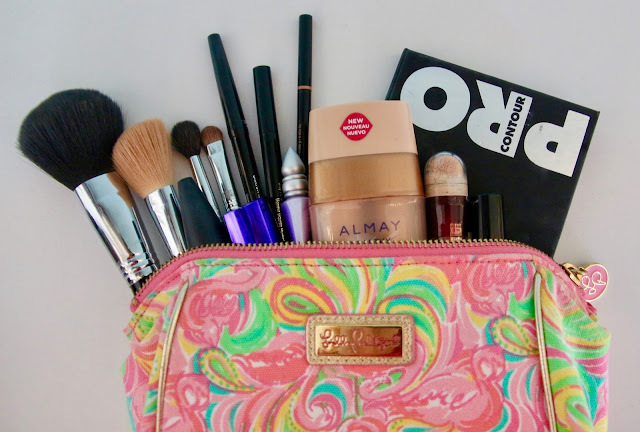 For liquid foundation, I recently purchased this Almay Healthy Glow makeup. If we're being honest, I was drawn to it because Carrie Underwood was on the poster, and she looked flawless! Although I don't look anything like her, I've really been liking this foundation. It makes my skin look so glowy! I am currently using two different concealers. This Maybelline Instant Age Rewind concealer works great to cover up dark under eyes. I also like this one from Loreal. Although I'm not a contour connoisseur, I've been using this Lorac Pro Contour Palette for a while now and really like it. I actually only use the "light contour" and "shimmer highlight" colors. I have been using a Clinique blush for years now and still absolutely love it. I don't wear too many lip products on a daily basis... except for Chapstick. I absolutely could not survive without Chapstick! I've finally discovered my favorite kind ever. It is the Total Hydration 3 in 1 Lip care, and y'all- this stuff is amazing. I've tried countless chapstick brands and formulas over the years, and this is by far the most moisturizing and hydrating one that I've ever used! On the days when I do wear lipstick (I rarely wear lipgloss), I really like using these from Burt's Bees. I was sent a bunch to review last summer, and my favorite colors are Lily Lake, Doused Rose, and Blush Basin. They are super moisturizing as well. Well, that's it for the contents of my travel makeup bag. 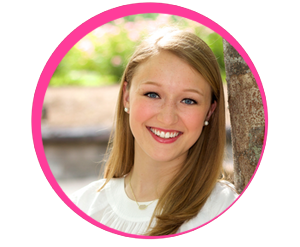 I hope you found this helpful and maybe discovered a new favorite makeup item! I can't wait to pack this little bag up in just TWO WEEKS and bring it to Greece! And then off to London after that... wow! It's that time of the year again! If you're like me, you don't actually have a valentine, but you love Valentine's Day because it's an excuse to spoil yourself! That's right... treat yo self girl!! If you've been looking for some fun ideas, look no further! Wow oh wow... What would I do without my comfy long-sleeve t-shirts?! Splurging on new makeup is always fun! Now's a perfect time to try out some new products! Spring is right around the corner, and a new pair of sandals is definitely in store! I have been loving sunglasses recently! They are such a fun way to accessorize your outfits! Having a girls' night in is definitely necessary every once in a while! DUH! February 15- the wonderful day of discounted chocolate! Thanks for reading & happy almost Valentine's Day! 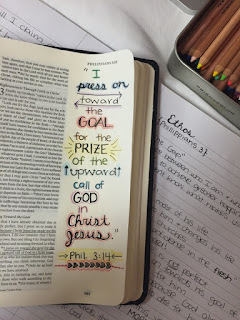 After receiving many many many requests, I am so excited to be posting about how to start Bible journaling! There are a few simple steps to get started, illustrated (no pun intended) below. Let me start off by saying that I am no expert Bible-journaler. I have only completed four entries as of now, but I have had so many people ask me how they can get involved and start it themselves! Do you want to grow closer to God? Do you want to explore your faith more deeply and learn more about Him? Spend some time thinking and praying over whether this will help you grow spiritually. Although a regular bible could probably be used for this, I would definitely recommend purchasing a Journaling Bible. This is the one that I have, and I love it! You might think that you'd be just fine using the normal Bible you already have (which you might), but Journaling Bibles have a few pluses. First, the pages have margins wide enough to illustrate the verses in. Second, the paper is a bit thicker, so pens and paint won't bleed through! Lastly, I like that this Bible is used specifically for my creativity. For Christmas, I received a kit from Illustrated Faith that included a few fun supplies to get me started. They sell all sorts of products made specifically for Bible journaling, so their Etsy site is a great place to look first! In addition to their products, I have purchased a few other things. These pens are so wonderful! (And I feel like a calligraphist when I use them.) They come in different sizes and colors, and they don't bleed through my pages! I also bought some super cheap watercolor paints to experiment with! (I hadn't used these since elementary school...) Also, probably my favorite product to use, are these watercolor colored pencils! My grandmother was sweet enough to give these to me to use in my adult coloring book, which I also love, but they have been great for Bible Journaling too! I've also heard that these Crayola twistables are great, but I haven't purchased them for myself yet. Spend some time reading the Bible. Whether that involves flipping to a random page, which can sometimes turn out to be the best for me, or reading along with a devotion, just keep reading until you find a verse that sticks out to you. I read somewhere that you probably shouldn't pick your favorite verse for your first entry, only because you'll probably want to get some practice in before then. Alright, here's the fun part! What I love about Bible journaling is that there are absolutely no rules or guidelines. You can seriously do whatever you want to illustrate God's word, and I think that's so incredible! So, get out your supplies and start illustrating! You can paint, draw, write, splatter, print, color, mark, decorate, design, or illustrate whatever you are feeling. Isn't that so amazing?! After reading through the steps the Illustrated Faith provided, I would definitely agree that dating and tabbing each of your entries is so important. I have been folding sticky-notes over the top of each page, writing the date on one side and the topic on the other. A few years from now, when I hopefully have lots and lots of entries, I'll be able to look back to see how I progressed over time! Also, if I am ever needing to read scripture about a specific topic, I can easily flip to that page to find it. Let me just say, that I have absolutely LOVED getting to share my Bible journaling experience with all of you. I discovered it one day while scrolling through Pinterest when I came across this blog post. I was instantly inspired and texted my mom, telling her that I wanted a Journaling Bible for Christmas. Now that I have gotten started, I love that I have been able to inspire some of you as well! I challenge each of you to share your creations with your friends and family and across social media. I think that this is a form of art that can speak to so many people, and I pray that it will impact the lives of many! 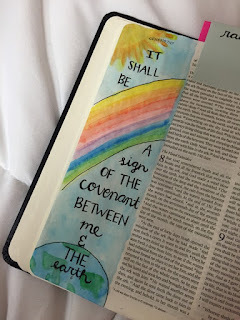 PLEASE send me pictures of any of your Bible journaling entries because I would absolutely love to see them! You can tag me in an Instagram photo, tweet me, or even email me! Thanks so much for reading & happy Bible journaling! Well, if you follow me on any of my social media accounts, you would probably know that IT SNOWED IN NASHVILLE! And no, not just an inch or two.....I'm talking 8 inches! WHAT?! Apparently that hasn't happened in Nashville since 2000. I woke up Friday morning to a lovely text saying that classes were cancelled, and I immediately went right back to sleep. A few hours later, I checked my phone to see tons of texts from my family, who had already seen pictures of the Nashville snow, telling me to get outside and see it! I opened the blinds up and was blinded (haha) by the beauty! After getting all bundled up, I walked to the caf to grab some breakfast and get a quick look at all of the snow! My roommate, my big, and I then walked around campus, took tons of pictures, and frolicked through the snow. At one point I was so overwhelmed by how beautiful campus looked that I think I shed a tear, (but it was also freezing outside, so that probably had something to do with it). Pictures don't even do it justice. Belmont was the North Pole/Narnia/Antarctica for the day, and I LOVED IT!